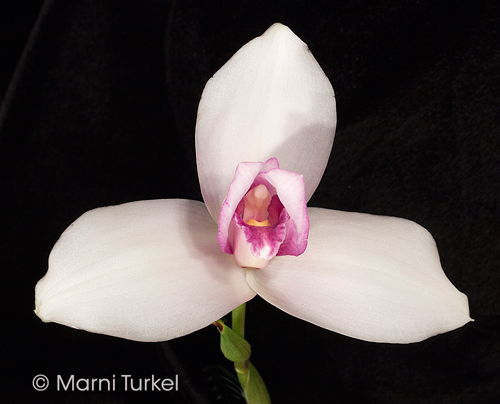 Lycaste virginalis/skinneri pink treated outcross #92213 ('8354’ x '6661') (approximately 25 seedlings per flask). These seedlings have been treated to alter the chromosome count. This does not guarantee that they will be 4N. For more information go to Ploidy. 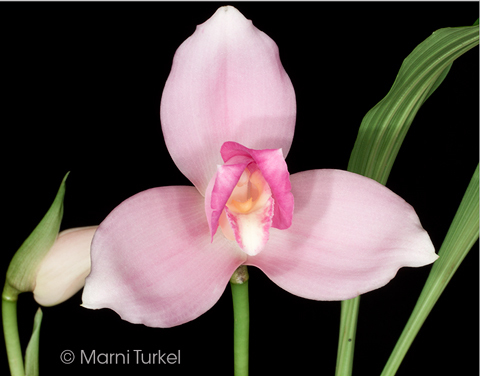 The Species: Lycaste virginalis/skinneri grows in Mexico, Guatemala, Honduras and El Salvador at elevations from 4000 to 6000 ft. The flowers are large (5" or more), long-lasting and fragrant with one flower per spike. Culture: It is a cool-intermediate to intermediate grower. I fertilize them with 1/4 strength fertilizer most of the year, but it could benefit from slightly higher concentrations during the growing season. Moderately bright light. I grow this species in a fine bark mix or a terrestrial mix. It does not get a dry winter rest.